The allowance of forestry operations on land trust-owned lands and as a reserved right in conservation easements is a subject of concern. Nationwide, forestry has been considered a form of agricultural practice, although there are few parallels beyond the fact that both food crops and timber come from the soil. Land trusts have traditionally allowed forest operations to be conducted on ownerships and easements because of either the agricultural characterization or out of concerns for forest health. Since most agricultural crops are annuals that are completely harvested in the same year that they are planted, let us agree that the notion that the harvesting of trees that can live to be 500 or more years is agriculture is a false paradigm. We can then focus on the issue of allowing forestry for forest health reasons. not in a state of good or normal health; in an unsound, weak, or morbid condition. symptomatic of or resulting from bad health. not conducive to good health; unhealthful. The concept of forest health has been mischaracterized in much of the political and professional debate regarding forestry. To a scientist, forest health is a measure of the integrity of the entire forest ecosystem, including soil, water and all native species, and the evolutionary and ecological processes that maintain them. This definition recognizes that tree pests, diseases, dead and dying trees, blowdowns, and fire are normal components of well-functioning forest ecosystems and generally should not be cause for concern. This contrasts with the limited perspective of forest health held by the timber industry and state forest management agencies, both of whom define a healthy forest condition as one that maximizes overall tree growth and timber production, often at the cost of soil productivity, water quality, fisheries, the future forest, or other components of the ecosystem. To underline this difference in perspective, I prefer the term “forest ecosystem health,” which offers a broader, more appropriate context for the stewardship of forestlands. Even though tree mortality caused by weather, insects, and disease may not appear desirable to those wishing to maximize short-term timber production or to maintain a visual aesthetic, scientists recognize that natural disturbances help regenerate forests, maintain species diversity, and create a beneficial patchwork of stands across the landscape that vary in age and species composition. Because weather and native insect and disease organisms play critical roles in recycling nutrients and other ecosystem functions, attempts to control, eliminate, or “correct” them often harm the ecosystem. For example, widespread removal of dead and dying trees eliminates habitat required by bird species that feed on insects that attack living trees, with the result that outbreaks of pests may increase in size or frequency. When we analyze the current condition of Connecticut’s forests (for example) using an ecosystem-based definition of health, we find that many forest ecosystems are in need of restoration – but largely not for the reasons proposed by the advocates of a “forest health crisis”. Rather they have been degraded by human activities, including excessive and inappropriate logging, road and home building, the introduction of exotic species, and poorly managed livestock grazing. There simply is not a pervasive problem with wildfire, insects, or disease in the Northeast. Given this reality, proponents of logging will turn to the idea that the forest is in ill health because it is “even-aged”, having simultaneously regenerated after the abandonment of intensive agriculture a century ago. And although the term “even-aged” would be commonly interpreted as meaning “single-aged”, foresters consider stands with up to three age-classes to be “even aged”. Thus, any forest with three age classes of trees, which is almost every forest stand in the state, is “unhealthy” and therefore should be logged (removing age classes) to restore it to health! In reality, the restoration of forest ecosystem health will depend on reducing the primary agents of degradation: excessive and poorly planned logging, livestock grazing, road building, mining, fire suppression, the introduction of exotic species, and other detrimental human activities. 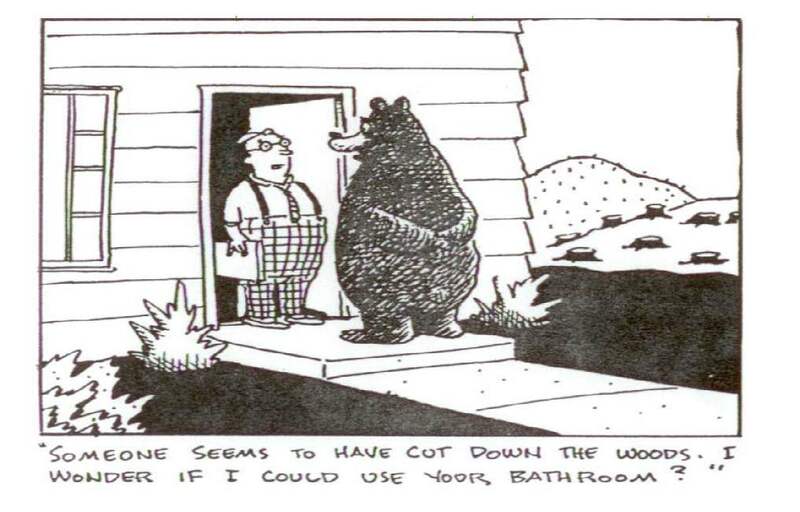 For many forests, this is the only “treatment” necessary. For those relatively few forest types, such as riparian forests ravaged by human activity that in some areas could benefit from active restoration, care must be taken to ensure that any management action is cautious, site-specific, scientifically sound and carefully monitored, and that it emphasizes long-term health of the ecosystem above short-term economic or aesthetic gain. Given that the almost singular purpose of land trust work is to protect native structural and functional diversity, we should vigorously defend our lands – both fee-owned and under conservation easement – by prohibiting the conduction of forestry operations. The amount of truly protected land area is very small compared to both unprotected land and that which is “protected” by the state and various other pro-forestry entities and thus we are not negatively affecting the state’s “timber economy” by prohibiting forestry on our protected lands. (1) Salvage logging: the removal of dead or dying trees. In common practice, salvage logging would include any healthy trees “associated” with those that are dead or dying. (2) Thinning: a reduction in the density of living trees by “selective” logging. An analysis of the ecological effects of salvage logging indicates that not only is this practice often not effective in reducing the scale and intensity of insect outbreaks and disease, it can cause serious damage to wildlife, soils, water, and other ecosystem components and processes. In short, the overall effect of salvage logging is to decrease forest ecosystem health. Thinning, which is defined as the reduction in the number of stems per acre, is only used to bring forest stand densities to those levels that produce the maximum volume of harvestable timber per acre. In practice, thinning causes soil compaction, erosion, and increased transmission of diseases and always requires woodroad construction. Thinning is often referred to as Timber Stand Improvement (TSI) and the term clearly expresses the commercial purpose that drives the operation. (6) The implementation of ecosystem management and adaptive management. None of these strategies supports intensive harvest, thinning, or salvage logging as a treatment to achieve ecosystem restoration. In fact the opposite is strongly suggested by ecosystem science. Forest ecosystem recovery can only be accomplished through thorough analysis and planning at the ecosystem scale followed by careful implementation over the course of years. Any restoration measures should be based on the best available science, should be carefully tailored to the individual site and should be planned in the context of the entire landscape. This means, for example, that individual patches of dead trees in a landscape of living trees should not be picked out for salvage logging. It is concluded, therefore, that the claims of a forest health crisis, used to justify timber harvesting, are not based on good science. Every ecoregion has a particular kind of natural disturbance regime that is expressed upon its landscape. In the American West, fire is a major form of natural disturbance. In New England, windthrow and insect and disease organisms are the primary manifestations of the natural disturbance pattern. Fire is another natural disturbance here but it is limited to a select few places in the region. Windthrow. Climate and weather are strong forces in the life of a forest. While landscape-scale forest-flattening phenomena like category 4 to 5 hurricanes are rare, localized high wind events and microbursts are relatively common. Wind events tend to affect mature trees, causing limbs to snap or trees to tip over, and create gaps in the forest canopy that change local radiation patterns from shady to bright. Gap creation by wind allows shade-intolerant tree species to initiate or gain increased vigor, increasing the floristic and structural diversity of a forest. The gap closes as the new trees reach the canopy, and the next wind event opens a gap elsewhere. On a landscape scale, the opening and closing of gaps is called the fluid mosaic, a phenomenon that drives the perpetuation of the diverse array of hardwoods, and the brilliant autumn spectrum of colors, that we see in Connecticut’s forests. Insect and disease organisms. Insects and disease organisms, including those that attack and sometimes kill patches of trees, are integral components of healthy forest ecosystems. For example, insects and disease organisms help decompose and recycle nutrients, build soils, maintain genetic diversity within tree species, filter out weak genetic competitors, generate snags and downed logs required by wildlife and fish, and create diverse patterns of vegetation at both site and landscape scales. Many wildlife species depend upon insect and disease organisms for food or for the creation of habitat. Stem-decay fungi, considered pests from a harvest-oriented perspective, are important to cavity-nesting birds because they soften heartwood and thereby facilitate the excavation of cavities in both living and dead trees. Populations of these cavity-nesting birds, in turn, feed on insects that can attack living trees. Root-decay fungi may kill individual trees, thereby creating gaps in the forest canopy. These gaps are part of the forest’s structural diversity, which maintains plant and animal diversity by recruiting light-loving species into the previously shaded forest. Populations of insects and pathogens in most forest ecosystems are usually kept in check by their natural predators and environmental factors such as climate. However, major insect and disease outbreaks that kill trees over relatively large areas do occur. For example, gypsy moth epidemics in northern hardwood forests are part of a “boom and bust” cycle that has occurred for a long time. Gypsy moth populations typically increase to epidemic levels when large, homogeneous areas of hardwoods provide suitable food resources. The insect selectively kills susceptible trees, thereby facilitating the development of a forest that is structurally, genetically, and compositionally more diverse and less prone to moth attack, starting the cycle over again. Large-­scale outbreaks of insects that defoliate trees are known to dramatically accelerate cycling rates of important nutrients that subsequently result in increased tree growth for many decades. Such examples demonstrate the danger of prematurely judging the effects of insects and pathogens solely on the basis of short-­term tree mortality. What some people perceive to be a crisis is in fact a normal and somewhat expected ecological event that is not outside of historical levels. Fire. Wildfire is a very, very rare occurrence in Connecticut because drought is uncommon. In contrast to western and southern forests, where wildfires can occur frequently, the natural wildfire regime here is on the order of every 800 to 1200 years. Connecticut does have a select few habitat types that are fire-dependent, such as the pitch pine stands on the higher summits of the Northwest corner. The suppression of fire in these few habitats has lead to their designation as endangered habitats; controlled burning is the only solution to the maintenance of these systems. Logging. Timber production has traditionally taken precedence over other uses on forestlands throughout the United States. The intensity and spatial patterns of logging have rarely considered the habitat requirements of native species or the need to protect soils, water quality, and other non-timber resources. Clearcut logging has removed large blocks of forest and fragmented what remains into smaller, more isolated pieces, with the result that critical ecological processes have been disrupted and populations of many wildlife species dependent upon large, connected habitat blocks are now in danger of extinction. In addition to the direct effects of habitat loss and fragmentation, logging typically reduces ecosystem health by (a) damaging aquatic habitats through siltation, reducing in- stream complexity, and increasing water temperatures; (b) reducing soil integrity through increased erosion and compaction; (c) removing significant quantities of nutrients and organic material; and (d) replacing structurally heterogeneous forest with homogeneous stands. These simplified replacement forests lack the variety of habitats necessary for all species and are prone to attack by insects and diseases that flourish in forests that are simplified. Various types of “selective logging” have decreased the health of forest ecosystems. “High-grade” logging, a commonly practice on Connecticut’s unregulated forest practices landscape (and a type of selective logging), removes the largest, most valuable trees (“take the best and leave the rest”). This has led to the absence of old-growth stands and a dearth of large-diameter trees in interior forest stands. High-grading has resulted in reduced genetic diversity among the remaining trees and the loss of critical habitat that is provided by large living, dying, and dead trees. It has also increased the relative abundance of shade-tolerant trees that are more susceptible to insects, disease, and fire, such as eastern hemlock and American beech. Road construction and sprawl. Woods roads have been constructed throughout forestlands to facilitate logging and other forest management activities. Paved roads, especially those that accompany new housing subdivisions or provide access to remote homes, are especially insidious in their effects on forest ecosystems. Although roads are intended as innocuous corridors for human transportation, they are one of the most important contributors to the deterioration of forest ecosystem health. Significant adverse impacts from roads and sprawl include: (a) elimination and fragmentation of wildlife habitat; (b) increased human disturbance and harassment of sensitive wildlife; (c) increased rates of erosion and sediment delivery to streams, with resultant impacts on fish and other aquatic species; (d) alteration of natural streamflow patterns, particularly the timing and intensity of high and low flows; and (e) increased spread and establishment of exotic plants and animals. Introduction of exotic species. Introduction of non-native species by humans, either intentional or accidental, is another of the most serious threats to the long-term maintenance of ecosystem health and biodiversity. More than half of all federally listed species are harmed by interactions with non-native species. In forests, introduced insects and pathogens that attack trees often cause large-scale mortality. Native tree species, not previously exposed to these agents, may lack defenses or immunity. For example, chestnut blight fungus was accidentally introduced to the United States from Europe in the early 1900’s, virtually eliminating American chestnut from eastern hardwood forests, where it was previously one of the dominant tree species. The U.S. Forest Service has identified more than 300 exotic pest species, of which the most damaging to Connecticut’s forests is the hemlock wooly adelgid; this spread of this species is clearly facilitated by logging operations and other forms of anthropogenic disturbance. Noxious weeds and other introduced plants decrease ecosystem health in forests, grasslands throughout the United States. Cheatgrass, Russian thistle, spotted knapweed and hundreds of other non-native plants have spread along human transportation routes and other disturbed areas to invade millions of acres in the West. These plant invasions may lower water tables, decrease food available to wildlife, or alter other important ecological processes and resources, affecting food webs and leading to endangerment of native species. Phragmites (or common reed) is an invasive that has led to a serious decline in opossum and waterfowl in Connecticut. The displacement and loss of native species to invasives can and may lead to cascades of ecological loss. Interestingly, opossum are a major consumer of ticks and their decline may be a factor in the expansion of tick populations. Cumulatively, the effects of the preceding activities have changed forests across the nation. In fact, when the current condition of forests is evaluated using an ecosystem-based definition of health, many ecosystems show signs of serious degradation, what Aldo Leopold referred to in 1944 as “land sickness”. This degradation includes loss of soil and soil nutrients, pollution of water, invasion by exotic species and extirpation of native species. Two recent reports on the status of U.S. ecosystems concluded that many ecosystem types are disappearing throughout the country, along with the native animal and plant species that are sustained by them. In particular, many types of old-growth forests have been dramatically reduced from their historic abundance and are now considered some of the most endangered ecosystems in the country. 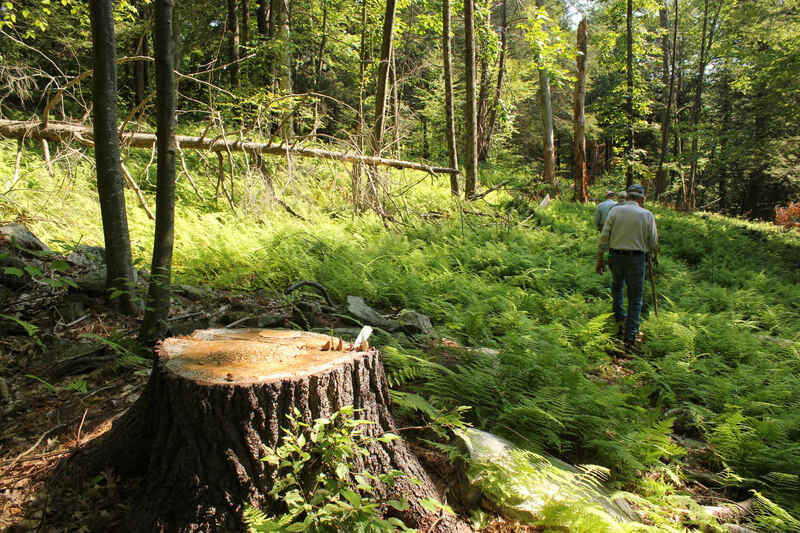 In the East, only one percent of historic old-growth forest is estimated to remain, with only 1/2000th of 1% of Connecticut’s forested landscape in the old-growth stage (about 40 acres statewide). The loss and degradation of old-growth and other forest types now threaten the existence of many plant and animal species. In light of this, it is particularly disturbing to hear CT DEEP and private foresters claim that old-growth is “decadent”, “wasteful”, and “an unknown entity”, wholly unworthy of consideration. Many rivers, streams, lakes, and wetlands in and around forest lands are degraded and are undergoing increased siltation, pollution, altered temperatures and flow levels, presence of exotic species and loss of natives. Many watersheds have declined in their ability to support fisheries, control floods, purify water, and recharge aquifers. The Housatonic River is both chemically degraded and profoundly affected by siltation. Heavy stocking by the Connecticut DEEP is the only way to support a robust trout fishery in this watercourse. Today, most relatively intact assemblages of native fishes (especially brook trout) are found only in wilderness and roadless areas in Northwestern Connecticut. The foregoing review of forest ecosystem health leads us to conclude that human-caused disturbances are the primary threats to sustaining ecosystems in Connecticut. It is imperative that the land trust community focuses on native wilderness conservation because the CT DEEP and the state forest products industry have created a false paradigm that essentially says that killing trees is the only solution to saving the forest. What they refuse to accept is that forests do just fine without human intervention. Eliminate forestry on land trust lands and easements. Given the long list of forest health challenges brought by logging operations, trusts should codify – in some permanent manner – a prohibition of commercial harvest operations or timber stand improvements on their fee-owned properties. Likewise, reserved rights for forestry operations should be discouraged on easements unless such lands have been previously designated as working tree farms (a.k.a., industrial forestlands). Such parcels should never be considered natural areas because they will forever be subjected to periodic, intensive anthropogenic disturbance. Conserve remaining old-growth forests and large, old trees. One of the primary factors lying at the root of current ecosystem health problems is the extensive loss of old-growth forests. Ecological research conducted in a wide variety of forest types has found that these communities provide unique and essential habitats for plants and animals and carry out important ecological functions not associated with younger forests. Because of the high timber values associated with old growth, these forests have been the focus of commercial logging activity for nearly a century and are now much reduced from their historic abundance. The remaining old-growth forest patches and individual large trees are invaluable as reservoirs for genetic diversity, seed sources for forest regeneration, refugia for old-growth dependent wildlife, and examples for forest restoration in the managed landscape. Given what we do and do not know about how eastern forest ecosystems function, we can conclude that all remaining old-­growth stands and large old trees are ecologically significant, and recommend that they be protected from logging. As stated by forest entomologist Boyd Wickman in 1992, “These trees are living examples of our long-term objectives”. In a broad, beyond protected areas sense, I agree with previous scientific assessments for western forests that have recommended that no trees be logged that measure greater than 30″ in diameter at breast height. Reduce roads and protect roadless areas. The remaining roadless regions in the Northwest Hills include the least human-disturbed forests and streams – important reservoirs of biological diversity – that are the primary benchmarks for restoring ecosystem integrity. Furthermore, roadless areas often contain steep slopes with unstable or highly erosive soils. Easements in particular must include language that specifically prohibits driveways and roads. Protect riparian areas, unstable lands, and fragile sites. Land trusts must ensure that any activity, including crop cultivation, livestock grazing, intensive public use, etc. does not degrade riparian areas, water quality, or soil integrity. Livestock grazing should be greatly reduced or eliminated in degraded riparian areas to prevent additional damage to riparian forests, water quality, and wildlife. Unstable areas prone to slumping or accelerated erosion should be identified and mapped so that all activity is precluded from these sites. Examples include low-elevation forest sites transitional to grasslands, higher-elevation forests, rocky areas, steep slopes, wetlands, and areas with high water tables and frost pockets. Ground­-disturbing activities should not be permitted in areas identified as unstable unless the proposed activities are peer-reviewed, and scientific study conclusively demonstrates that they will not degrade soils or release sediment into streams. Practice ecosystem management and adaptive management. Project planning should evaluate the potential adverse environmental impacts of proposed management actions on entire forest ecosystems, not just tree health. The hypothetical benefits of any proposed action should be carefully weighed against the risk of degrading true forest health, water quality, soil integrity, fisheries, and biological diversity. This essentially eliminates logging from protected areas. Project implementation should incorporate adaptive management (the modification of management activities as indicated by results of ongoing monitoring studies). The Connecticut Statewide Forest Management Plan produced by the CT DEEP and the forest products industry claims that there is a “forest health emergency” that mandates an increase in logging on public and private lands to restore forest health. However, such a prescription is likely to further degrade, rather than restore, forest ecosystems. At best, this initiative is driven by major ecological misconceptions that include: (1) reliance on a narrow definition of forest health biased toward timber production that fails to recognize or address declines in biodiversity, soils, water quality, and other ecological values not directly associated with tree health; (2) exaggeration of the severity and geographic extent of problems with insects and disease and the mischaracterization of these problems as a “crisis”; (3) dissemination of the idea that an even-aged forest or overstocked forest is unhealthy; and (4) promotion of widespread selective cutting as a means of restoring “forest health,” despite the fact that such logging damages soils, water quality, and wildlife habitat and increases exotic plant populations and has yet to be shown effective at increasing forest health on a landscape scale. To the contrary, it is concluded that: (1) long-term sustainability of forest ecosystems requires adopting a definition of health that recognizes the need to maintain all components of the ecosystem; (2) insects, disease, and wind are integral parts of forest ecosystems, and while there may be increased activity of these agents in some specific areas at some particular time, these disturbances are not so widespread or severe as to constitute a “crisis”; and (3) logging is inappropriate because it is likely to result in more environmental damage than would be caused by wind, insects, or disease. (1) Nature knows best, and she is the best agent of restoration for “unhealthy” forests; thus, benign neglect is the best strategy in unthreatened, native ecosystems. (2) Restoration should be aimed at facilitating native function by eliminating non-native forces. (3) Given the political and economic landscape, land trusts should take the lead in the protection of the forestland under our protection so that they can become the old-growth forests of tomorrow; this is accomplished by permanently codifying no-logging clauses into a trust’s mission statement and by prohibiting reserved rights for forestry on easements. Previous articleForests or Rabbits? Really?